The majority of your interior looks will depend on your flooring. When entering a house, the first thing that people will notice is the comfortable feeling on the floor while they are walking. There are varieties of materials for flooring, e.g. laminated wood, ceramic tile, wood craft and carpet. Carpets are the most fashionable and trendy among other types of flooring. It is advisable for high traffic areas and for homes with old people and toddlers. Through using carpet, everyone will enjoy the warmth and comfort of walking barefoot over a soft, plush carpet. Carpet can make every room more fashionable and stylish that’s why hotels and other commercial establishments choose carpet as their floor cover. Any color of carpet will fit to every room design, it is just a matter of choice and the size of area where it is subject to install. A dark color for your floor is good and can make you room a little dim and comfortable. Carpet comes in two types, the carpet tile and the carpet roll / broadloom / wall-to-wall carpet. Carpet tile is the easiest carpet to install. Its 50cm x 50cm tile size can be arranged according to your preferred design. 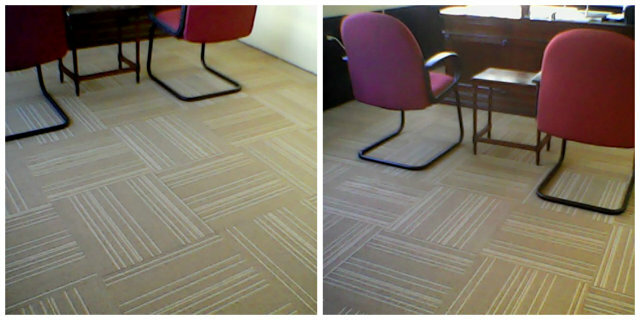 Our client from San Juan City opted for carpet tile for his office and its beautiful design perfectly fit to his office motif. For online gallery of carpets from DS Windows & Walls Interior Supply, you may visit http://gallery.carpetphilippines.com. For further inquiries regarding our products and services, visit us at 2nd level Pacific Mall Lucena City, 3rd level Robinsons Metro East, Pasig City and 4th level Waltermart, Makati City. You may also call us at (02) 403 3262 / (02) 893 1373 / 0916 311 3909 or email us at inquiry@dswindows.com. You may also browse our Facebook page and like us at www.facebook.com/windowblindsphilippines and www.facebook.com/blindsphilippines.